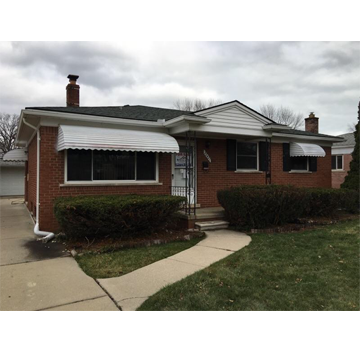 Do you own a house in Metro Detroit? If yes, and you want to sell it quickly, this piece of advice may prove to be of great help. For every homeowner who wants to sell a Detroit home fast, there are a number of options available. You can call a real estate agent to list your house and wait for an offer. But this doesn’t sound like a fast process. It can take weeks, months, and even years. If you’re in a rush, trying cash home buyers in Detroit sounds like a better option. If you’re relocating and have time, the right time to put your house on sale is about 2-3 months before you plan to leave. This goes for the traditional realtor method of selling a house. However, if you’re relocating and choose cash home buyers like Detroit Cash For Homes, you can be assured of closing the deal within 7 days. If you’re selling a loved one’s home after death, it might be tough to deal emotionally with a lengthy process. Selling the house right away can be your best bet. To sell a house, you need to get it repaired and listed with a realtor to find the right buyers and the optimum price. It is bound to take time. However, if you’re pressed for time and need a quick closing, you can rely on Detroit Cash For Homes. If you don’t need your house anymore and are planning on buying a new one right away, or maybe your house is old and in need of repair, you can sell it quickly and efficiently with Detroit Cash For Homes. You can sell Detroit homes fast through Detroit Cash For Homes and they will give you an all cash offer in just 24 hours. You can get the deal done in a matter of days! Get it done quick! If you’re up for selling a home, give Detroit Cash for Homes a call and we’ll be right there!